Dexterity comes second to warmth for small children playing in snow. A new thumb-less mitten concept from Veyo offers a simple covering from the cold. 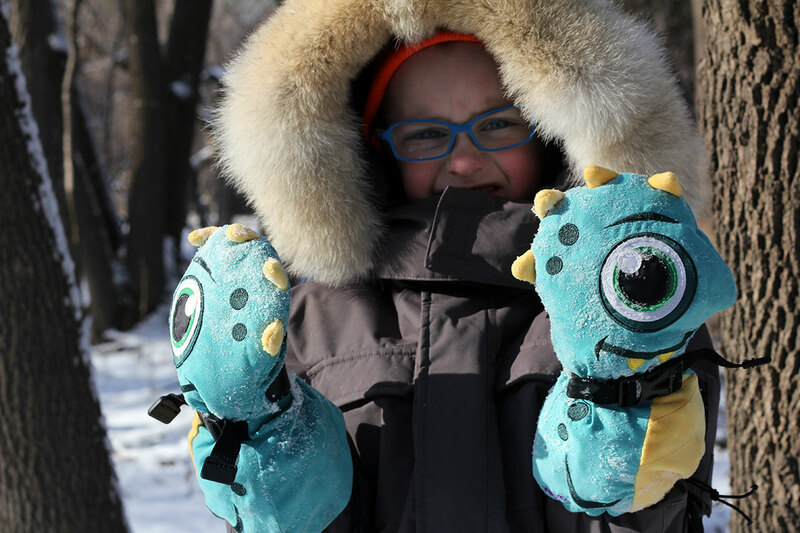 The mittens are sold under the name “Mittyz,” and with designs that range from tiger paws to dinosaur heads, they roll with a youthful aesthetic. 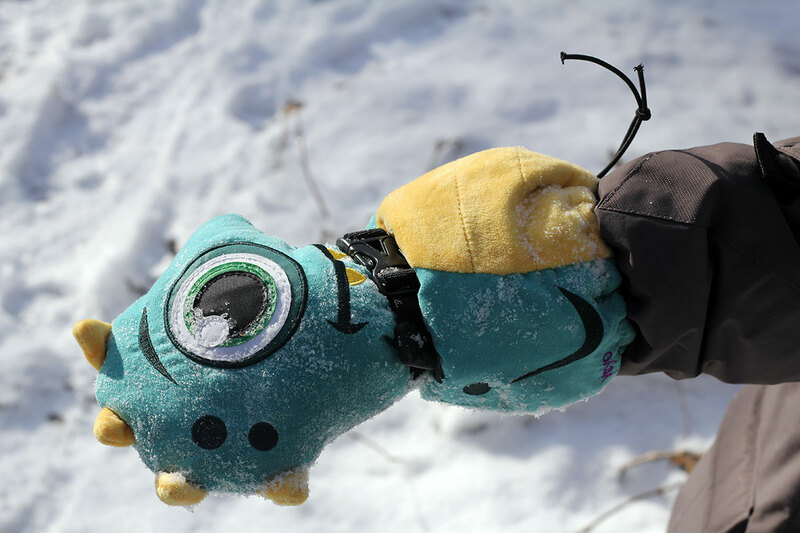 Reviewing the thumb-less mittens this month, my kids love them so far for sledding and tromping through the ice and snow. Any parent knows the pain of putting mittens or gloves on squirming kids. Then, outside playing, you pray the handwear will stay in place. Based in Utah, Veyo launched its take on the kid mitten design to solve some of these common concerns. The $39.95 mitts are easy to put on with a big cuff opening. They fit around bulky coats or snowsuits, cinching in place halfway up the forearm and sealing off to keep snow from coming inside. A simple design, the Mittyz use a synthetic fleece material inside and out. They are waterproof thanks to a non-permeable material sandwiched inside. They come in sizes 12m to 4T, fitting kids six-months-old to about six years. All cost $39.95, and the company has five kid-friendly designs, including penguin, butterfly, and “snow princess” motifs. Arctic mitts these are not. But they work for temps down to about 15 degrees F, depending on a kid’s activity level and tolerance for cold. The thumb-less design gives kids a kind of “paw,” and motor skills required for things like gripping shovels and molding snowballs are somewhat compromised. But my boys get enough purchase to pat down a snow fort or hold onto the side of a sled, their warm hands a small price for mediocre dexterity while enjoying comfort on the ride down.